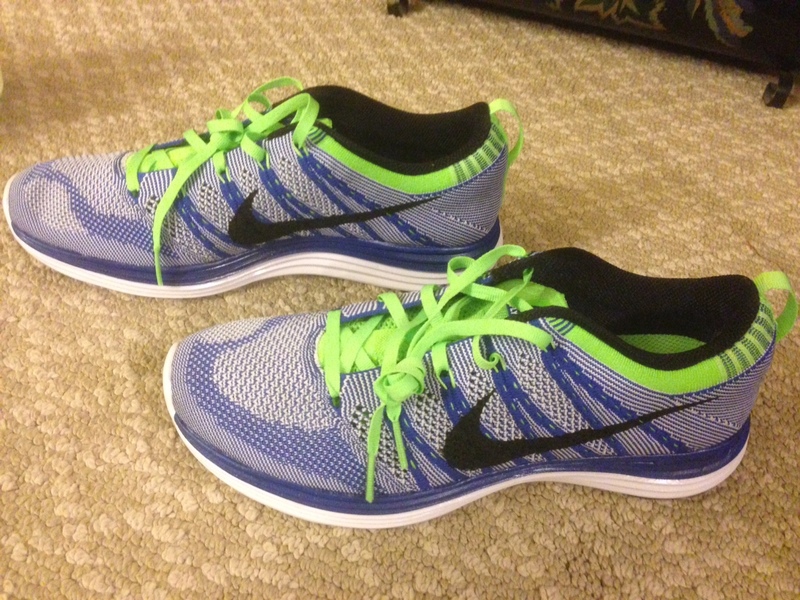 You are here: Home » 17 MIles and Brand New Nike Lunar Flyknit 1! 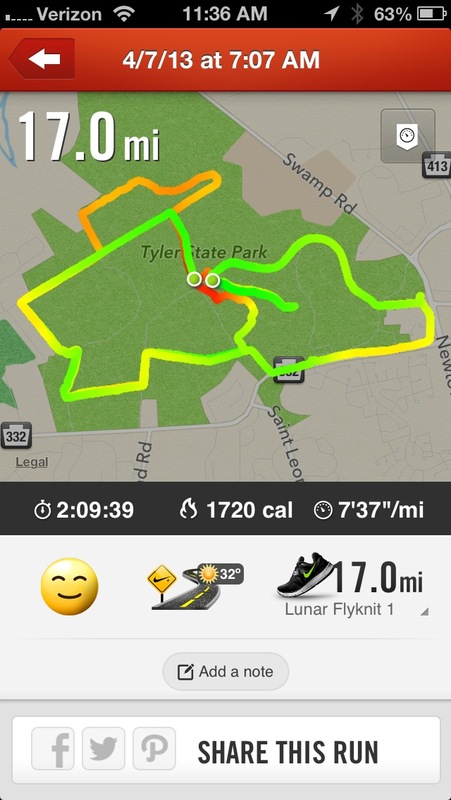 17 MIles and Brand New Nike Lunar Flyknit 1! Today Coach had me run 17 miles, pace 7:20-7:30. I decided to join Boston Pete who was getting in his final longish run before Boston. He was running 12 miles so I figured we would run 12 together giving me only 5 miles to finish up at the end. Steve Price started with us and ran about 5 miles with us before he needed to back off. He was getting in 20+ and is coming off of some injury downtime so he is still working on getting the fitness level back up. This is especially true as we were running in what Scott Craig has aptly named, “the Sanctuary” or more commonly known as Tyler State Park. Tyler is not exactly flat. In fact it is quite hilly and it is a challenging place to run, but it is also a great place to run. I am very lucky to live so close to such a great place. The best time to run is early when the park is quiet. It really is an amazing place then. The secret is out on Tyler so later in the morning it does get crowded at spots especially on a day like today when the park is used to host a local 5K. Although it is supposed to be warmer later today, once again it was a chilly start and I ran in running tights, a long sleeve tech running shirt, and running gloves as it was in the 30’s for most of the run. 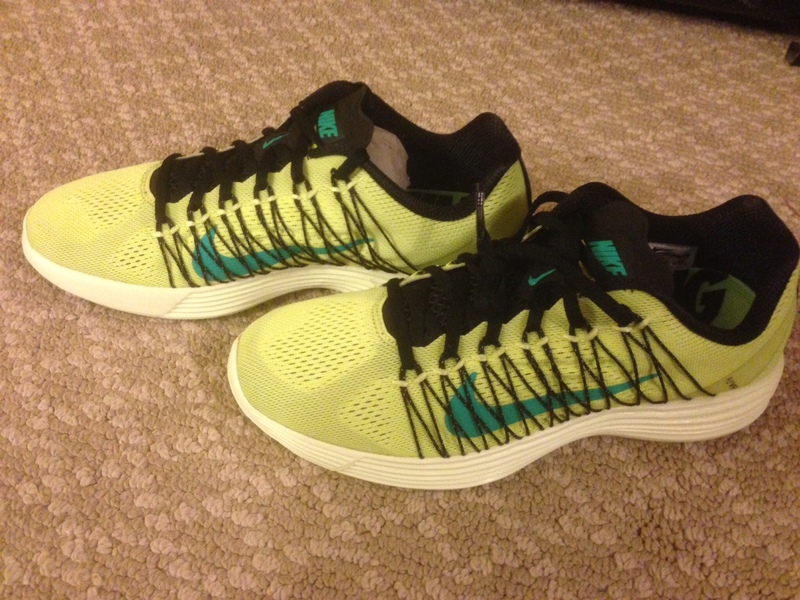 While I was at it I also bought the next generation Lunar Racers. I will race in the at the Broad Street Run and if that goes well, this will be my racer for the Maccabi Games. I have been using the older version Lunar Racer for years now and love it. This shoe is just a tad lighter and has a more breathable fabric which will work well for the heat in Israel! Please do not forget about the Maccabi 5K April 28th! There is more information below!